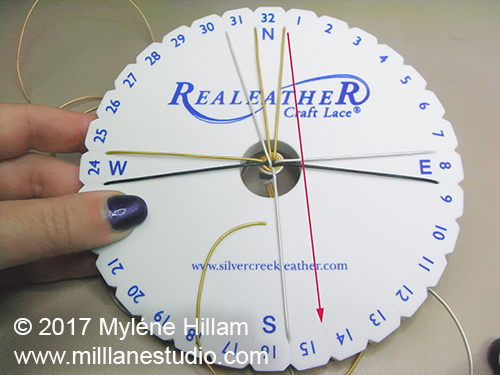 If you've mastered the basic 8-strand Kumihimo braid but would love to take it to the next level, then this project will be right up your alley. Without learning anything new, you can make a simple braid look very classy just by working with a different stringing material and adding beads. In this project, you'll learn how to make a Kumihimo braid with leather cord, how to add beads and then how to make your bracelet adjustable by tying a sliding knot - no clasp required. 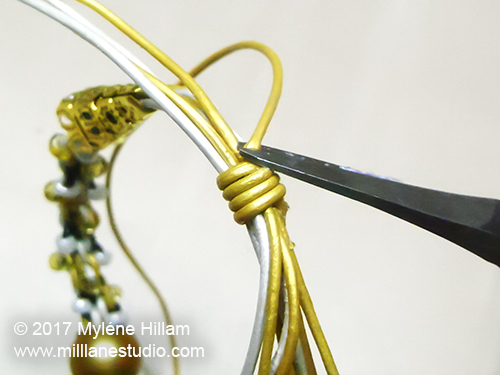 Cut three 1m (39") lengths each of gold and silver cord and two 1m (39") lengths of black cord, Align the ends of the cords and tie them in a loose knot approximately 10cm (4") from the end. 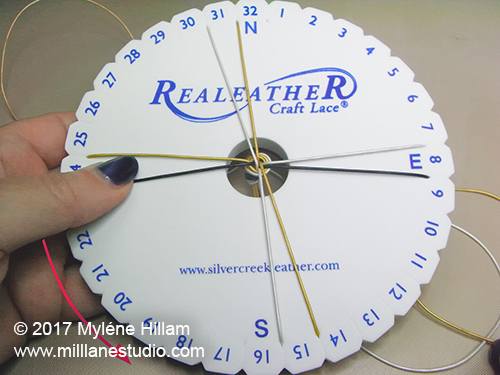 Place the knot into the hole of the Kumihimo disk. 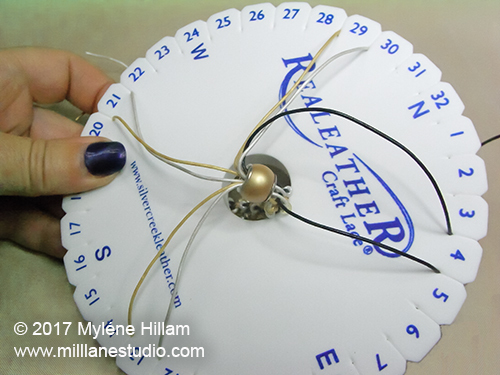 Set the cords into the slots of the disk using the photo below as a guide, i.e. on either side of the N, S, E and W markings. Once all the cords have been placed in the slots, you can begin the braid. It consists of three simple steps. The first is to take the cord at the bottom on the left hand side of S and place it in the slot to the left of the N cords at the top. 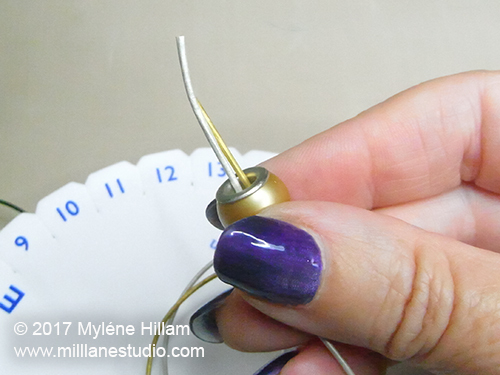 Step 2: Then take the cord to the right of the N mark and place it in the slot to the right of the bottom cord. 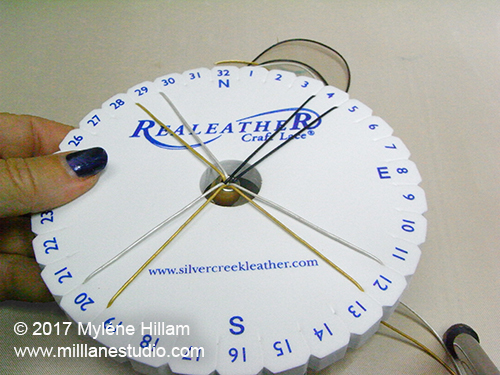 Step 3: Rotate the disk anti-clockwise. 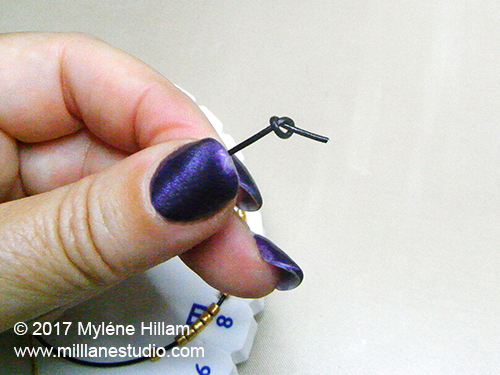 Continue with these three steps until the braid is approximately 15mm (5/8") long. Try to keep your tension even as you create the braid. A weight added to the braid can help with this or you can just pull it through as the braid gets longer. Next it's time to add beads to the braid. 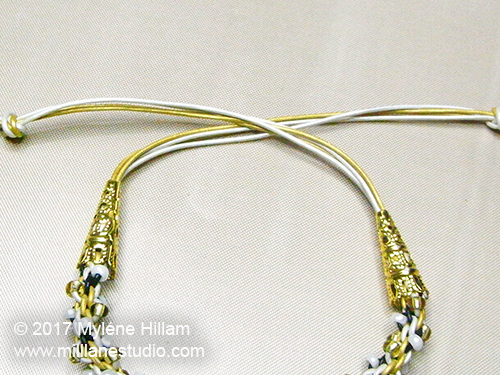 I've strung twelve white beads on the bottom left black cord and twelve gold beads on the top right silver cord. 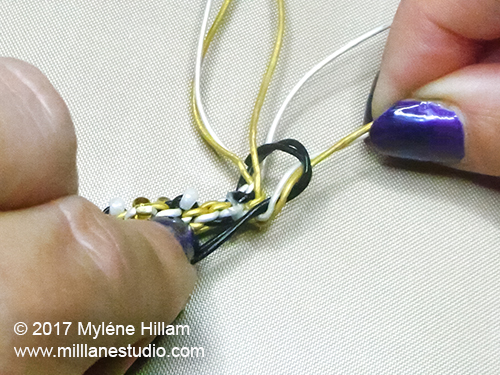 Tie a loose knot or add a bead stopper to the end of the two cords to keep the beads on. 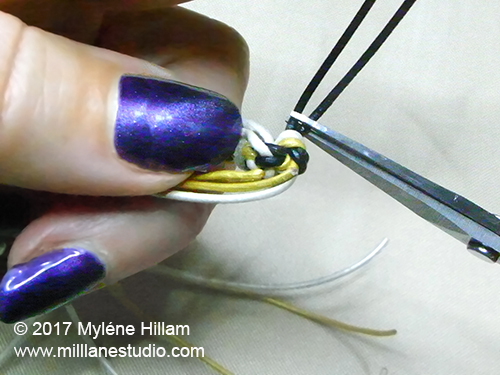 Continue working the braid as before, but now when you come to a cord with a bead on it, slide a bead to the centre of the braid. Then cross the cord to the other side of the disk as before. 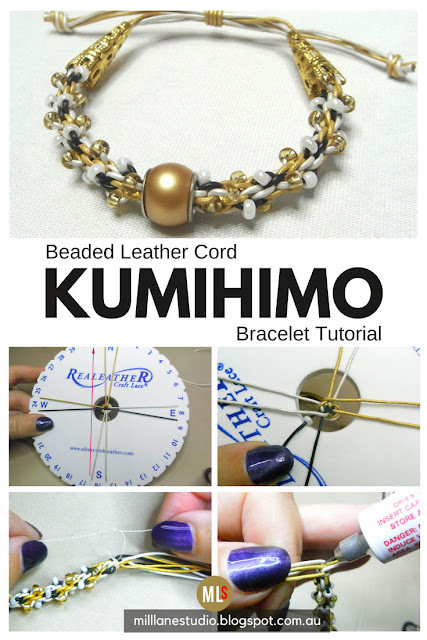 The bead must sit underneath the cord that it crosses over or it will end up inside the braid instead of on the outside of it. 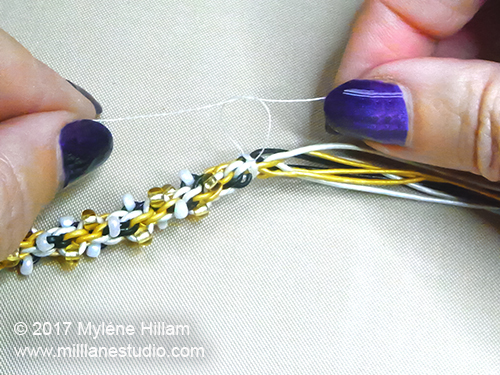 Once you have worked all the strung beads into the braid, it's time to add the large hole bead. 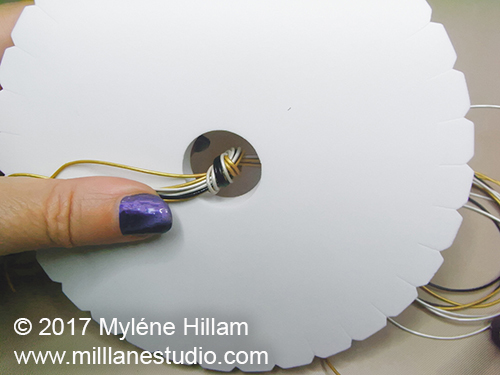 To do this, you will need to remove all eight of the cords from the disk, one pair at a time so that you can thread them through the bead. 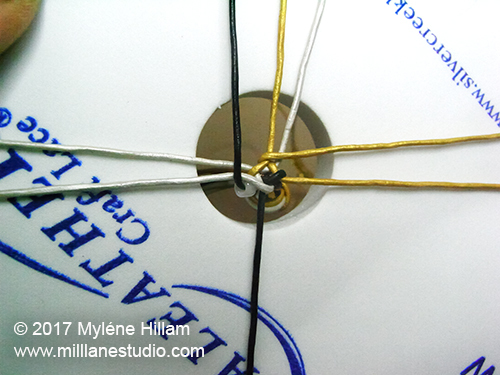 Replace each pair of cords back into the slots of the disk as soon as they have been threaded through the bead. 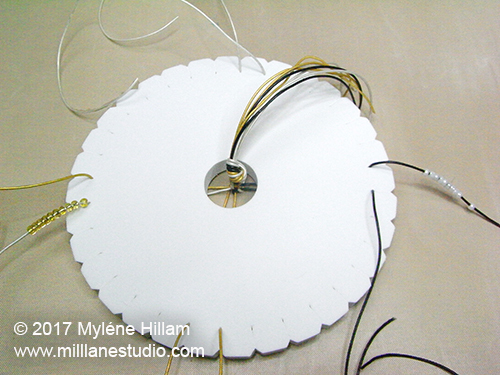 Tighten up all the cords so that the bead now sits in the hole of the disk. String the remaining beads on the black and silver cords opposite each other and continue braiding until all the beads have been used. 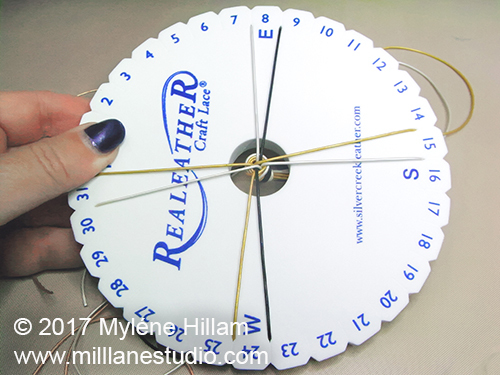 Whilst the braid is still on the disk, take a length of sewing thread and wrap it around the ends of the braid, knotting it securely so that the braid won't unravel. Do the same thing at the beginning and then undo the knot in the cords. Apply adhesive to all the cords just beyond where the thread has been tied. Move the pair of gold cords and the pair of silver cords to the side and knot the black cords around the remaining gold and white cords. Apply more adhesive to this knot. 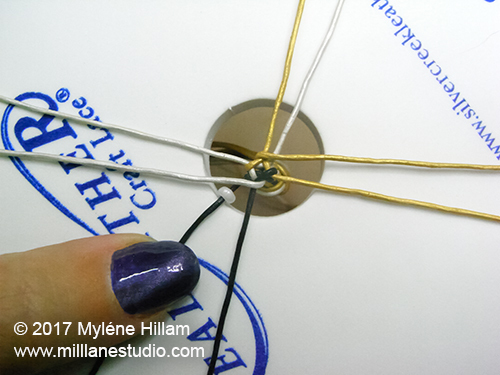 Trim away the four cords you just knotted. 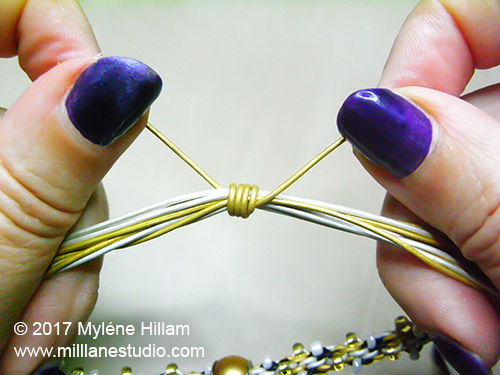 Do this at both ends of the bracelet. 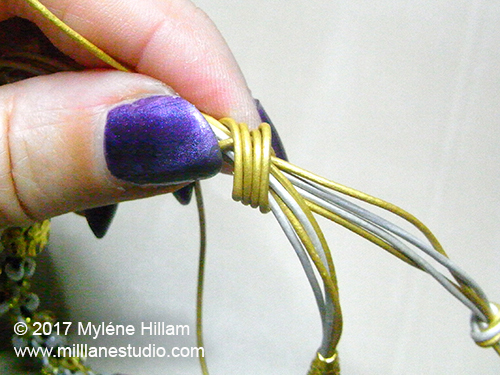 String a bead cone on the four remaining cords on each end of the bracelet and slide them up to the braid. Gather the cords on each side and tie them into a knot. Cross the ends over each other. Hold the point where the cords cross over between your thumb and finger. 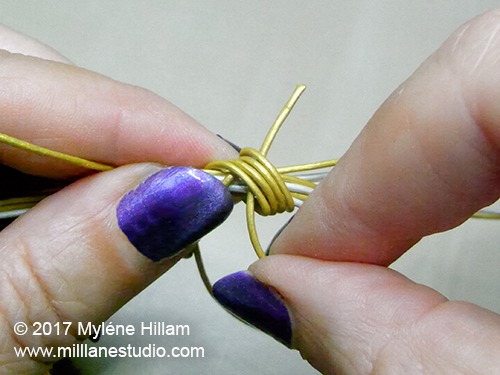 Take a twelve inch length of gold cord and place it under your thumb on top of cords, leaving a 7.5cm (3") tail. Wrap the loose end of the cord four times around all the cords back towards your thumb. 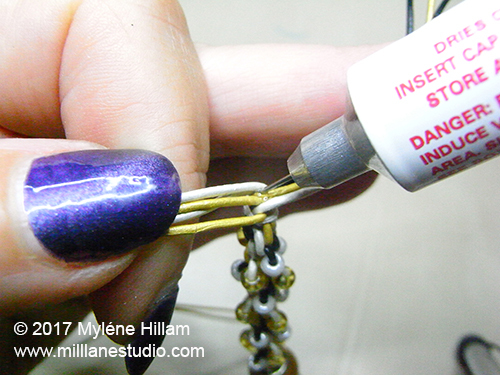 Thread the loose end back through the coils, making sure they do not cross over each other. 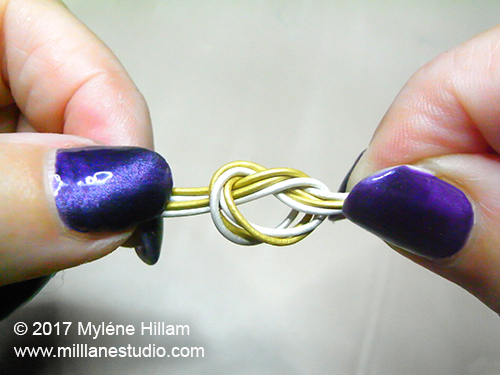 Pull both loose ends of the wrapping cord to pull up the knot. Pull it up firmly but not too tightly or you won't be able to operate the sliding knot. 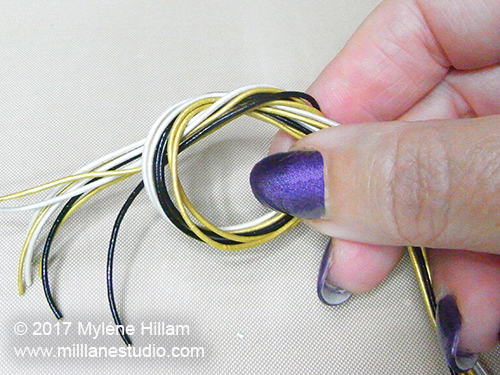 Trim the loose ends close to the coil. 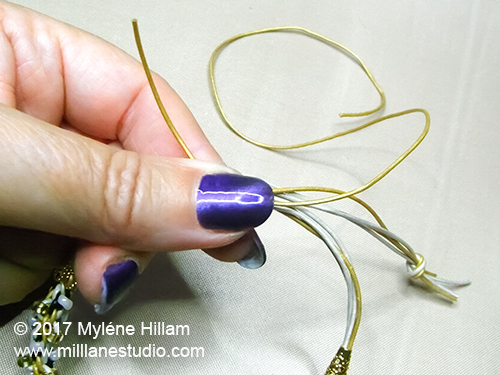 For added security, you can apply adhesive to the cut ends where they touch the coils but make sure not to get any on the bracelet cords or the the sliding knot will knot work. 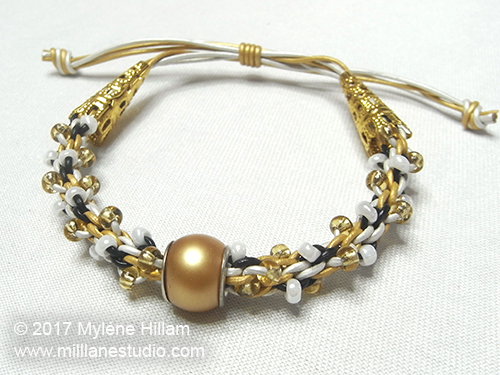 Now you have a very classy looking leather bracelet with an adjustable closure. 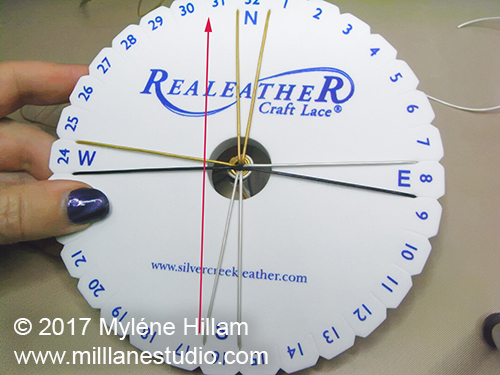 Take a look at this short sliding knot video from Silver Creek Leather, to see this knot in action.